Nobody said being a dragon breeder was easy…and the competition is heating up! You have two fine specimens to start with. All you need to do is send your Dragon Seekers out into the forest to find a suitable match. But there are other breeders trying to grab the best dragons before you can: The 1783rd annual dragon breeding competition is about to begin. Can you outwit your rivals and claim the title of Supreme Dragon Breeder? 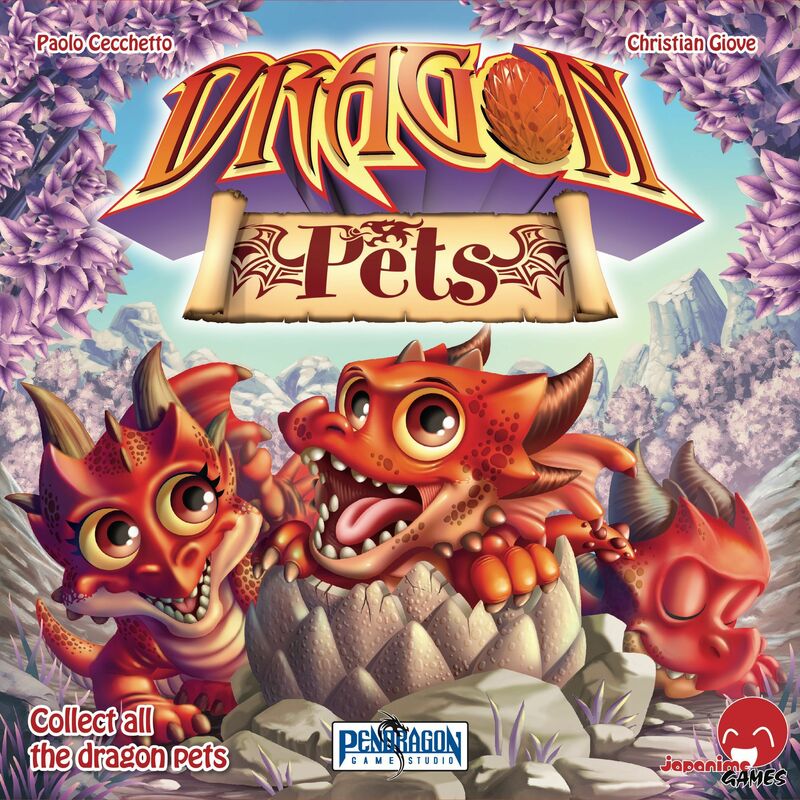 You begin Dragon Pets with two dragons in search of mates. You must send your Dragon Seekers into the forest to collect more dragons, forming mating pairs. Each pair you collect will award you gold coins. The player with the most coins at the end of the game wins!